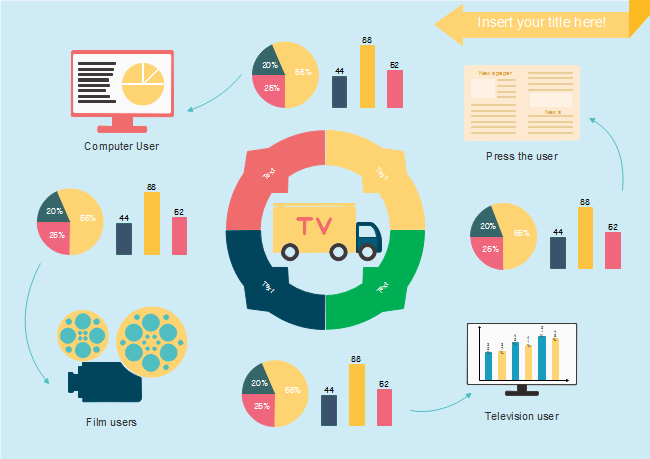 Nowadays with information overloaded in the fast-paced environment, infographics has been a popular and effective tool in news industry to help convey news content and visualize complex data. How to make a news infographic that can get your audience impressed? Have a try of this highly automated infographics maker. Edraw infographic maker is a powerful and reputable cross-platform (Mac/Windows/Linux) infographic drawing tool. 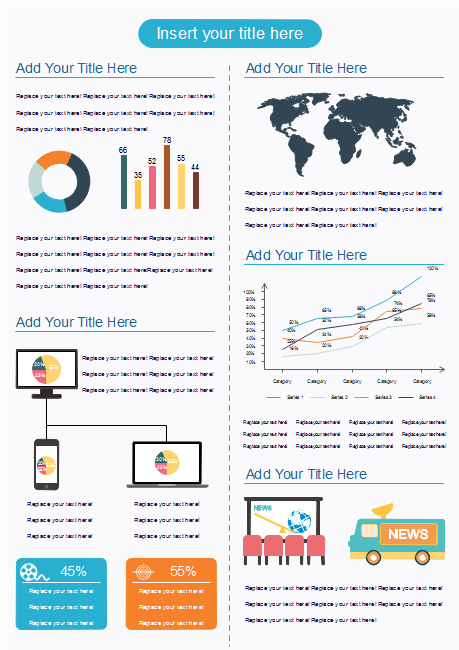 It has many premade news infographic templates which help users start right away. In addition, it provides a large collection of useful elements you may need for your news infographics such as basic shapes, arrows, call outs, 2D blocks, icons, infographic charts and maps. 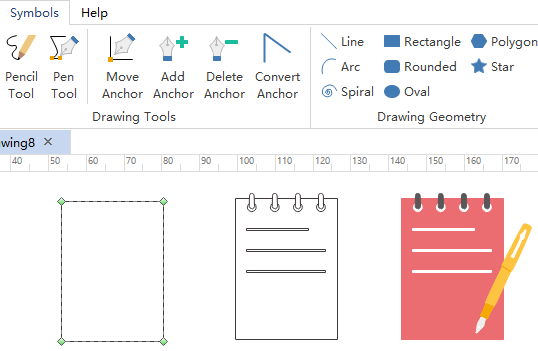 Furthermore, exporting drawing to PNG, PDF, PS, EPS, Office, Html, SVG and Visio can be achieved by one click. 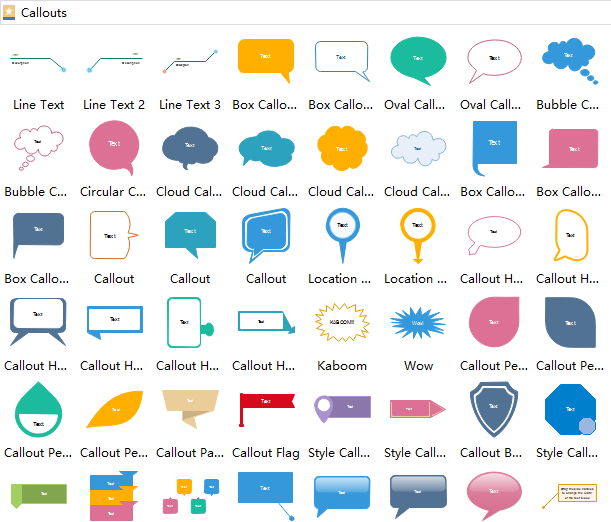 Edraw infographic maker contains extensive news clip arts. They can be resized without losing clarity. In the libraries, click Infographic, and then click News and you will see all new clip arts as below. All of the news infographics clip arts, shapes and arrows are editable. You are allowed to modify them at will on Color, Line, Fill, Shadow, etc. With the Drawing Tools and Drawing Geometry, you can make nice symbols even if you are inexperienced in drawing. This amazing function lets you design your news infographics with much novelty. Our infographic maker helps you design and customize infographics in seconds. With a large number of built-in clip arts for food, animal, sports, business, people, education, etc., you can build infographics of many fields. You Will Love This Infographic Tool! 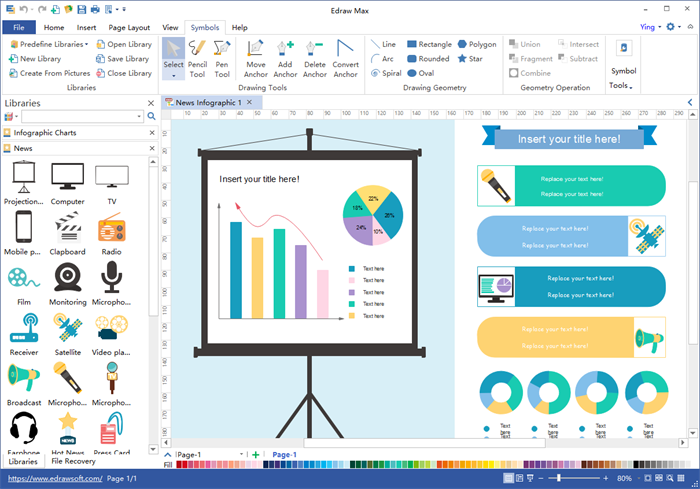 Enjoy creating Infographics with this user-friendly software. You'll be surprised by its abundant design elements and templates, amazed on how easy it works, and satisfied with the service and price. Try it now!